Show your support for rescued pets (and show off your humor!) 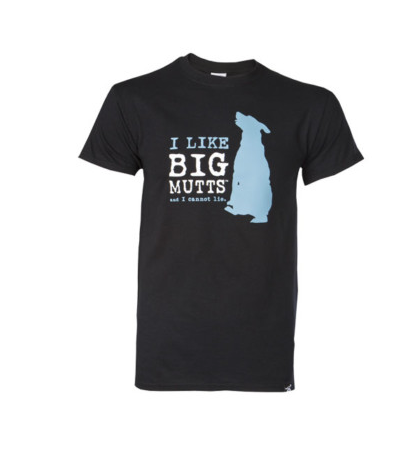 with this "I like big mutts and I cannot lie" unisex t-shirt! Donate $50 or more this week, and we will send you this hilarious t-shirt as a thank you!